Clara Josephine Wieck was born in Leipzig on 13 September 1819 to Friedrich Wieck and Marianne Wieck (née Tromlitz). Marianne Tromlitz was a famous singer in Leipzig at the time and was singing solos on a weekly basis at the well-known Gewandhaus in Leipzig. The differences between her parents were irreconcilable, in large part due to her father's unyielding nature. After an affair between Clara's mother and Adolph Bargiel, her father's friend, the Wiecks divorced in 1824 and Marianne married Bargiel. Five-year-old Clara remained with her father. From an early age, Clara's career and life was planned down to the smallest detail by her father. She daily received a one-hour lesson (in piano, violin, singing, theory, harmony, composition, and counterpoint) and two hours of practice, using the teaching methods he had developed on his own. In March 1828, at the age of eight, the young Clara Wieck performed at the Leipzig home of Dr. Ernst Carus, director of the mental hospital at Colditz Castle. There she met another gifted young pianist who had been invited to the musical evening, named Robert Schumann, who was nine years older. 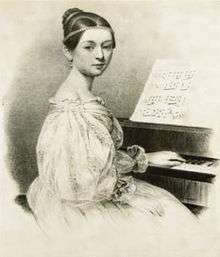 Schumann admired Clara's playing so much that he asked permission from his mother to discontinue his law studies, which had never interested him much, and take music lessons with Clara's father. While taking lessons, he took rooms in the Wieck household, staying about a year. He would sometimes dress up as a ghost and scare Clara, and this created a bond. The appearance of this artist can be regarded as epoch-making.... In her creative hands, the most ordinary passage, the most routine motive acquires a significant meaning, a colour, which only those with the most consummate artistry can give. From December 1837 to April 1838, Clara Wieck performed a series of recitals in Vienna when she was 18. Franz Grillparzer, Austria's leading dramatic poet, wrote a poem entitled "Clara Wieck and Beethoven" after hearing Wieck perform the Appassionata sonata during one of these recitals. Wieck performed to sell-out crowds and laudatory critical reviews; Benedict Randhartinger, a friend of Franz Schubert (1797–1828), gave Wieck an autographed copy of Schubert's Erlkönig, inscribing it "To the celebrated artist, Clara Wieck." Frédéric Chopin described her playing to Franz Liszt, who came to hear one of Wieck's concerts and subsequently "praised her extravagantly in a letter that was published in the Parisian Revue et Gazette Musicale and later, in translation, in the Leipzig journal Neue Zeitschrift für Musik." On 15 March, Wieck was named a Königliche und Kaiserliche Kammervirtuosin ("Royal and Imperial Chamber Virtuoso"), Austria's highest musical honor. Robert was a little more than 9 years older than Clara and moved into the Wieck household as a piano student of Friedrich's by the end of 1830 when she was only 11 and he was 20. In 1837 when she was 18, he proposed to her and she accepted. Then Robert asked Friedrich for Clara's hand in marriage. Wieck was strongly opposed to the marriage, as he did not much approve of Robert, and did not give permission. Robert and Clara had to go to court and sue Friedrich. The judge's decision was to allow the marriage. In 1840, despite Friedrich's objections, Clara and Robert were married. They maintained a joint musical diary. She and Robert first met violinist Joseph Joachim in November 1844, when he was just of age 14. A year later she wrote in her diary that in a concert on Nov. 11, 1845 "little Joachim was very much liked. He played a new violin concerto of Mendelssohn's, which is said to be wonderful". In May 1853 they heard Joachim play the solo part in Beethoven's violin concerto. Clara wrote that he played "with a finish, a depth of poetic feeling, his whole soul in every note, so ideally, that I have never heard violin-playing like it, and I can truly say that I have never received so indelible an impression from any virtuoso." From that time there was a friendship between Clara and Joachim, which "for more than forty years never failed Clara in things great or small, never wavered in its loyalty." Over her career, Clara gave "over 238" concerts with Joachim in Germany and Britain, "more than with any other artist." "The two were particularly noted for their playing of Beethoven's sonatas for violin and piano." Also in the spring of 1853, the then unknown 20-year-old Brahms met Joachim (only a few years older, but by then an acknowledged virtuoso) in Hanover, made a very favorable impression on him, and got from him a letter of introduction to Robert Schumann. Brahms went and presented himself at the Schumanns' home in Düsseldorf. He played some of his own piano solo compositions. Both Schumanns were deeply impressed. Robert published an article highly lauding Brahms. Clara wrote in the diary that Brahms "seemed as if sent straight from God." Robert attempted suicide in February 1854 and then was committed to an asylum for the last two years of his life. In March 1854, Brahms, Joachim, Albert Dietrich, and Julius Otto Grimm spent time with Clara, playing music for or with her to divert her mind from the tragedy. Robert died 29 July 1856. In October–November 1857 Clara and Joachim took a recital tour together to Dresden and Leipzig. St. James's Hall, London, which opened in 1858, hosted a series of "Popular Concerts" of chamber music, of which programs from 1867 through 1904 are preserved. Joachim visited London annually beginning in 1866. Clara also spent a few months of many years in London and participated in Popular Concerts with Joachim and Piatti. Most often on the same concert programmes would be second violinist Joseph Ries and violist J. B. Zerbini. George Bernard Shaw, the leading playwright who was also a music critic, wrote that the Popular Concerts helped greatly to spread and enlighten musical taste in England. Playing chamber music bypassed the issues Clara had with English orchestra conductors. In her early years her repertoire, selected by her father, was showy and popular, in the style common to the time, with works by Kalkbrenner, Henselt, Thalberg, Herz, Pixis, Czerny, and her own compositions. Concert programs from 1831 through 1889 (some 2000 of them) were preserved and information from them has been arranged in order of year performed. Pieces for solo piano, or for piano and one other instrument, will not be listed. Clara also performed concerti by (now) lesser known composers: Adolf von Henselt (1837, 1844), Ignaz Moscheles (1831), and Bernhard Scholz (1875). Robert Schumann's one piano quintet, Op. 44, 1843, in the premiere; then much later, in 1888. She was initially interested in the works of Liszt, but later developed an outright hostility to him. She ceased to play any of his works; she suppressed her husband's dedication to Liszt of his Fantasie in C major when she published Schumann's complete works; and she refused to attend a Beethoven centenary festival in Vienna in 1870 when she heard that Liszt and Richard Wagner would be participating. She was particularly scathing of Wagner. Of Tannhäuser, she said that he "wears himself out in atrocities"; she described Lohengrin as "horrible"; and she wrote that Tristan und Isolde was "the most repugnant thing I have ever seen or heard in all my life". She also wrote that Wagner had spoken of Robert, Mendelssohn, and Brahms in a "scornful" way. 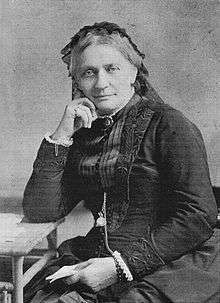 Clara Schumann often took charge of finances and general household affairs. Part of her responsibility included making money, which she did by giving concerts, although she continued to play throughout her life not only for the income, but because she was a concert artist by training and by nature. She was the main breadwinner for her family, and the sole one after Robert was hospitalized and then died, through giving concerts and teaching, and she did most of the work of organizing her own concert tours. She hired a housekeeper and a cook to keep house while she was away on her long tours. She refused to accept charity when a group of musicians offered to put on a benefit concert for her. In addition to raising her own large family, when one of her children became incapacitated, she took on responsibility for raising her grandchildren. During the May Uprising in Dresden in 1849, she famously walked into the city through the front lines, defying a pack of armed men who confronted her, rescued her children, then walked back out of the city through the dangerous areas again. Her life was punctuated by tragedy. Four of her eight children and her husband died before she did, and her husband and one of her sons ended their lives in insane asylums. Clara's first son Emil died in infancy in 1847, aged only one. In 1854, her husband Robert had a mental collapse, attempted suicide, and was committed to an insane asylum for the last two years of his life. In 1872 her daughter Julie died, leaving two small children aged only 2 and 7. In 1879, her son Felix died, aged 25. In 1891, her son Ferdinand died, at the age of 42. Clara was required to raise Felix's children as he was no longer married. Her son Ludwig suffered from mental illness like his father and, in her words, had to be "buried alive" in an institution. She herself became deaf in later life and she often needed a wheelchair. Clara and Robert's oldest child, their daughter, Marie, was of great support and help to Clara. When she was of age, she took over the position of household cook. It was Marie who dissuaded Clara from continuing to burn letters she had written to Brahms and he had returned, requesting that she destroy them. Another daughter, Eugenie, who had been too young to remember Robert, wrote a book on the Schumanns and Brahms. As part of the broad musical education given her by her father, Clara Wieck learned to compose, and from childhood to middle age she produced a good body of work. Clara wrote that "composing gives me great pleasure... there is nothing that surpasses the joy of creation, if only because through it one wins hours of self-forgetfulness, when one lives in a world of sound". At age fourteen she wrote her piano concerto, with some help from Robert Schumann, and performed it at age sixteen at the Leipzig Gewandhaus with Mendelssohn conducting. Clara was the authoritative editor of her husband's works for the publishing firm of Breitkopf & Härtel. She has been depicted on screen numerous times. Possibly the best known is by Katharine Hepburn in the 1947 film Song of Love, in which Paul Henreid played Robert Schumann and Robert Walker starred as a young Johannes Brahms. She was also portrayed in the 2008 Franco-German-Hungarian film Geliebte Clara. And in 1954, Loretta Young portrayed Clara on The Loretta Young Show: The Clara Schumann Story in Season 1, Episode 26 (first aired 21 March 1954) in which Clara Schumann supports the composing career of her husband Robert played by George Nader, alongside Loretta Young, Shelley Fabares and Carleton G. Young. 1 2 Hall, George. "Schumann, Clara (Josephine)." The Oxford Companion to Music, Oxford University Press, New York, 2002, p. 1124; also accessed through Grove Music Online on 30 June 2009. 1 2 Haisler, J.L. (2003). The Compositional Art of Clara Schumann (a Master of Music thesis). Houston, Texas: Rice University. ↑ Reich 2001. 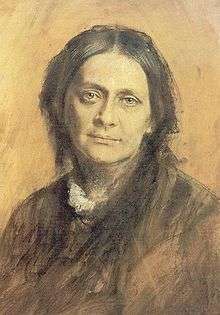 Clara Schumann, pp. 5,13. 1 2 3 4 Reich (1986), p. 249. 1 2 Reich (1986), p. 250. ↑ Litzmann 1913, vol. 1, p. 366. ↑ The Philharmonic Society of London had been formed in 1813. In 1912 it became the Royal Philharmonic Society. ↑ Litzmann 1913, vol. 2, p.131. ↑ The New Philharmonic Society began operating in 1852 with Dr. Wylde as co-founder: A Dictionary of Music and Musicians, Ed. George Grove, vol. 2, 1900, MacMillan, London, in Wikisource; article New Philharmonic Society, The by George Grove. The New Philharmonic ceased giving concerts in June 1879. ↑ Shaw, George Bernard (1937), London Music in 1888-1889 as heard by Corno di Bassetto, etc. (Constable, London) p. 297. ↑ Popular Concert in London, with Joachim and Wilma Norman-Neruda, violins, Ludwig Straus, viola, and Piatti, cello, to a "tremendously enthusiastic" audience, Clara wrote in her diary, Litzmann 1913 vol. 2 p. 389. ↑ Litzmann, 2007, vol. 1, p. 316. ↑ Reich, 2001, p. 254. ↑ See: Clara Schumann Piano Music, selected & with introduction by Nancy B. Reich. ISBN 9780486413815. Avins, Styra (ed), JOHANNES BRAHMS: Life and Letters (1997), selected and annotated by Styra Avins, Transl. by Joseph Eisinger and S. Avins, Oxford University Press. Reich, Susanna (1999,2005), Clara Schumann: Piano Virtuoso, New York: Houghton Mifflin Harcourt, ISBN 0-618-55160-3. Schumann, Clara, and Brahms, Johannes, Briefe aus den Jahren [Letters from the Years] 1853-1896, two vols., Band I: 1853-1871, Band 2: 1872-1896, with a "Geleitwort" (Preface) by Marie Schumann. Boyd, Melinda. 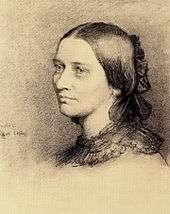 "Gendered Voices: The 'Liebesfrühling' Lieder of Robert and Clara Schumann." 19th-Century Music 39 (Autumn 1975): 145–162.